Note: When search pattern is entered in one of the find what text fields, the other two related fields will interpret entered value in correspondent format. 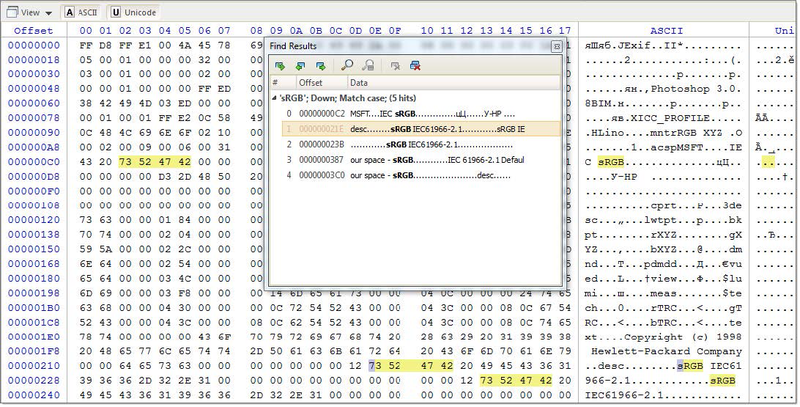 Regular expressions and wildcards can provide even greater search capabilities. Search direction will specify search direction from the current cursor position. 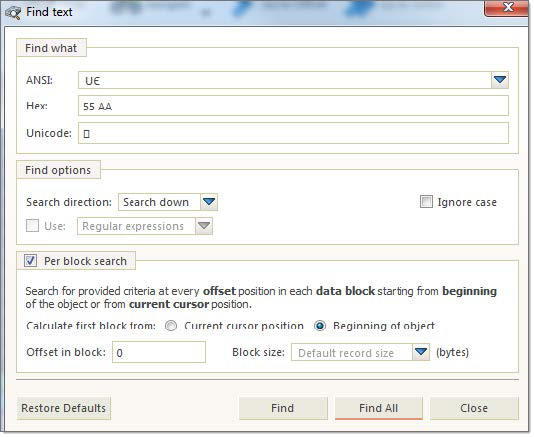 When this option is on, then search applies on per block fragments of context object. This method could be useful to search for repeated pattern, for instance at certain position (offset) in each and every sector (block). Find command will initiate search process and will pause at first search result entry. Use Next button on dialog or F3 keyboard shortcut to continue paused search. When using Find All command, list of all search entries will appear in Find Results view. Use this list to navigate between search result entries (if any). After search completed, result entries (if any) are listed in Find Results view, grouped in subsequent search results, with offset (address) and short preview snippet. To focus on individual search result entry double-click on it in list or use Goto button in view's toolbar. 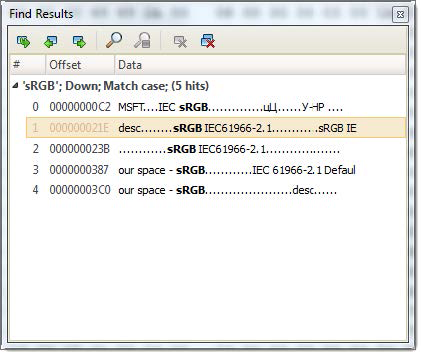 All search results are highlighted in Disk Editor view. Use context menu in Find result view to interact with each search entry individually.